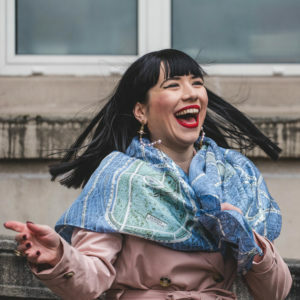 Helen Chatterton textiles has two distinct collections. 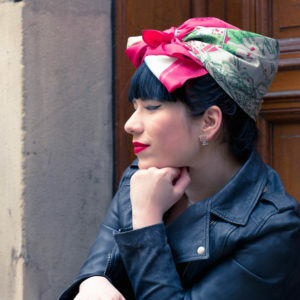 The collection on Handmade Online is the City on Cloth collection of silk map scarves. The collection was launched in 2012 at Handmade in Britain's Spring Show at the Oxo Galleries in London. 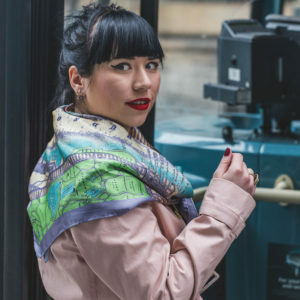 It started with cotton lawn maps of London, using a 1929 Street Atlas of London which was digitally printed, then made up into long scarves backed with linen. 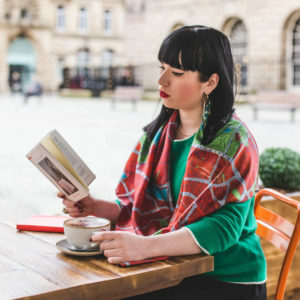 By popular demand the collection developed quickly and now consists of silk squares, in various sizes and has grown from London to UK cities including Liverpool, Cambridge, and international cities including Berlin, New York, Rome. Helen has done special commission scarves for British Museum, Museum of London and the Ashmolean Museum, Oxford. The artwork is done by Helen then the silk is digitally printed in Macclesfield where the scarves are machine finished.